This article, which at first sight seems to point to the current crisis was written sixteen years ago by the late Professor Tanya Reinart. The author reveals the diabolical historical process and intent to destroy Palestine and its political institutions. This incisive and carefully documented contribution by Prof. Tanya Reinhart was among the first articles published by Global Research in December 2001. Already in October 2000, at the outset of the Palestinian uprising, military circles were ready with detailed operative plans to topple Arafat and the Palestinian Authority. This was before the Palestinian terror attacks started. (The first attack on Israeli civilians was on November 3, 2000, in a market in Jerusalem). The political echelon for its part (Barak’s circles), worked on preparing public opinion to the toppling of Arafat. On November 20, 2000, Nahman Shai, then public-affairs coordinator of the Barak Government, released in a meeting with the press, a 60 page document titled “Palestinian Authority non-compliance…A record of bad faith and misconduct”, The document, informally referred to as the “White Book”, was prepared by Barak’s aid, Danny Yatom. (2) According to the “White Book”, Arafat’s present crime – “orchestrating the Intifada”, is just the last in a long chain of proofs that he has never deserted the “option of violence and ‘struggle'”. “As early as Arafat’s own speech on the White House lawn, on September 13, 1993, there were indications that for him, the D.O.P. [declaration of principles] did not necessarily signify an end to the conflict. He did not, at any point, relinquish his uniform, symbolic of his status as a revolutionary commander” (Section 2). This uniform, incidentally, is the only ‘indication’ that the report cites, of Arafat’s hidden intentions, on that occasion. A large section of the document is devoted to establishing Arafat’s “ambivalence and compliance” regarding terror. No further hints are provided regarding how this links Arafat to that bombing, but this is the “green light to terror” theme which the Military Intelligence (Ama”n) has been promoting since 1997, when its anti-Oslo line was consolidated. This theme was since repeated again and again by military circles, and eventually became the mantra of Israeli propaganda – Arafat is still a terrorist and is personally responsible for the acts of all groups, from Hamas and the Islamic Jihad to Hizbollah. The ‘Foreign Report’ (Jane’s information) of July 12, 2001 disclosed that the Israeli army (under Sharon’s government) has updated its plans for an “all-out assault to smash the Palestinian authority, force out leader Yasser Arafat and kill or detain its army”. The blueprint, titled “The Destruction of the Palestinian Authority and Disarmament of All Armed Forces”, was presented to the Israeli government by chief of staff Shaul Mofaz, on July 8. The assault would be launched, at the government’s discretion, after a big suicide bomb attack in Israel, causing widespread deaths and injuries, citing the bloodshed as justification. Many in Israel suspect that the assassination of the Hamas terrorist Mahmoud Abu Hanoud, just when the Hamas was respecting for two months its agreement with Arafat not to attack inside Israel, was designed to create the appropriate ‘bloodshed justification’, at the eve of Sharon’s visit to the US. (Alex Fishman – senior security correspondent of ‘Yediot’ – noted that “whoever decided upon the liquidation of Abu Hanoud knew in advance that would be the price. The subject was extensively discussed both by Israel’s military echelon and its political one, before it was decided to carry out the liquidation” (Yediot Aharonot, Nov. 25, 2001)). Israel’s moves to destroy the PA, thus, cannot be viewed as a spontaneous ‘act of retaliation’. It is a calculated plan, long in the making. The execution requires, first, weakening the resistance of the Palestinians, which Israel has been doing systematically since October 2000, through killing, bombarding of infrastructure, imprisoning people in their hometowns, and bringing them close to starvation. All this, while waiting for the international conditions to ‘ripen’ for the more ‘advanced’ steps of the plan. Now the conditions seem to have ‘ripened’. In the power-drunk political atmosphere in the US, anything goes. If at first it seemed that the US will try to keep the Arab world on its side by some tokens of persuasion, as it did during the Gulf war, it is now clear that they couldn’t care less. US policy is no longer based on building coalitions or investing in persuasion, but on sheer force. The smashing ‘victory’ in Afghanistan has sent a clear message to the Third-World that nothing can stop the US from targeting any nation for annihilation. They seem to believe that the most sophisticated weapons of the twenty-first century, combined with total absence of any considerations of moral principles, international law, or public opinion, can sustain them as the sole rulers of the world forever. From now on, fear should be the sufficient condition for obedience. “the American leadership is presently shaped by dangerous right wing Southern extremists, who seek to use Israel as an offensive tool to destabilize the whole Middle East area” (December 17, 2001). The same hawks are also talking about expanding the future war zone to targets on Israel’s agenda, like Hizbollah and Syria. “Bush is fed up with this character [Arafat]”, “Powell said that Arafat must stop with his lies” (Barnea and Schiffer, ‘Yediot’, December 7, 2001). As Arafat hides in his Bunker, Israeli F-16 bombers plough the sky, and Israel’s brutality is generating, every day, new desperate human bombs, the US, accompanied for a while by the European union, keep urging Arafat to “act”. But what is the rationale behind Israel’s systematic drive to eliminate the Palestinian Authority and undo the Oslo arrangements? It certainly cannot be based on ‘disappointment’ with Arafat’s performance, as is commonly claimed. The fact of the matter is that from the perspective of Israel’s interests in maintaining the occupation, Arafat did fulfill Israel’s expectations all these last years. Ample information was published in the Israeli media regarding these activities, and ‘security sources’ were full of praises for Arafat’s achievements. E.g. Ami Ayalon, then head of the Israeli secret service (Shab”ak), announced, in the government meeting on April 5, 1998 that “Arafat is doing his job – he is fighting terror and puts all his weight against the Hamas” (Ha’aretz, April 6, 1998). The rate of success of the Israeli security services in containing terror was never higher than that of Arafat; in fact, much lower. “he came as collaborator as much as liberator. For the Israelis, security – theirs, not the Palestinians’ – was the be-all and end-all of Oslo. His job was to supply it on their behalf. But he could only sustain the collaborator’s role if he won the political quid pro quo which, through a series of ‘interim agreements’ leading to ‘final status’, was supposedly to come his way. He never could. . . [Along the road], he acquiesced in accumulating concessions that only widened the gulf between what he was actually achieving and what he assured his people he would achieve, by this method, in the end. He was Mr. Palestine still, with a charisma and historical legitimacy all his own. But he was proving to be grievously wanting in that other great and complementary task, building his state-in-the-making. Economic misery, corruption, abuse of human rights, the creation of a vast apparatus of repression – all these flowed, wholly or in part, from the Authority over which he presided.” (Hirst, “Arafat’s last stand?” The Guardian, December 14, 2001). Right from the start of the ‘Oslo process’, in September 1993, two conceptions were competing in the Israeli political and military system. The one, led by Yosi Beilin, was striving to implement some version of the Alon plan, which the Labor party has been advocating for years. The original plan consisted of annexation of about 35% of the territories to Israel, and either Jordanian-rule, or some form of self-rule for the rest – the land on which the Palestinians actually live. In the eyes of its proponents, this plan represented a necessary compromise, compared to the alternatives of either giving up the territories altogether, or eternal blood-shed (as we witness today). It appeared that Rabin was willing to follow this line, at least at the start, and that in return for Arafat’s commitment to control the frustration of his people and guarantee the security of Israel, he would allow the PA to run the enclaves in which the Palestinians still reside, in some form of self-rule, which may even be called a Palestinian ‘state’. “Barak’s deep and abiding admiration for Ariel Sharon’s military insights is another indication of his views; Barak and Sharon both belong to a line of political generals that started with Moshe Dayan” (Ha’aretz, January 8, 1999). At the eve of Oslo, the majority of the Israeli society was tired of wars. In their eyes, the fights over land and resources were over. Most Israelis believe that the 1948 Independence War, with its horrible consequences for the Palestinians, was necessary to establish a state for the Jews, haunted by the memory of the Holocaust. But now that they have a state, they long to just live normally with whatever they have. However, the ideology of the redemption of land has never died out in the army, or in the circles of the ‘political generals’, who switched from the army to the government. In their eyes, Sharon’s alternative of fighting the Palestinians to the bitter end and imposing new regional orders – as he tried in Lebanon in 1982 – may have failed because of the weakness of the spoiled Israeli society. 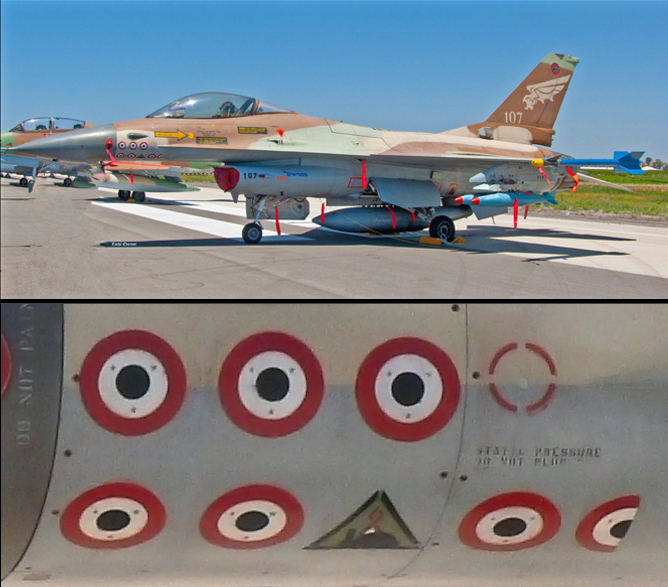 But given the new war-philosophy established in Iraq, Kosovo and Afghanistan, they believe that with the massive superiority of the Israeli air force, it may still be possible to win this battle in the future. 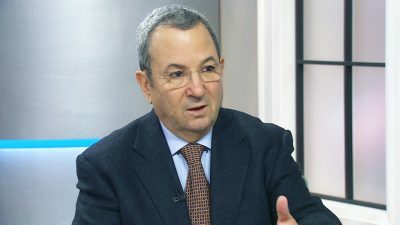 While Sharon’s party was in the opposition at the time of Oslo, Barak, as Chief of Staff, participated in the negotiations and played a crucial role in shaping the agreements, and Israel’s attitude to the Palestinian Authority. Nevertheless, the scenario of the collapse of the PA did not materialize. The Palestinian society resorted once more to their marvelous strategy of ‘zumud’ – sticking to the land and sustaining the pressure. Right from the start, the Hamas political leadership, and others, were warning that Israel is trying to push the Palestinians into a civil war, in which the nation slaughters itself. All fragments of the society cooperated to prevent this danger, and calm conflicts as soon as they were deteriorating to arms. They also managed, despite the tyranny of Arafat’s rule, to build an impressive amount of institutions and infrastructure. The PA does not consist only of the corrupt rulers and the various security forces. The elected Palestinian council, which operates under endless restrictions, is still a representative political framework, some basis for democratic institutions in the future. For those whose goal is the destruction of the Palestinian identity and the eventual redemption of their land, Oslo was a failure. In 1999, the army got back to power, through the ‘political generals’ – first Barak, and then Sharon. (They collaborated in the last elections to guarantee that no other, civil, candidate will be allowed to run.) The road opened to correct what they view as the grave mistake of Oslo. In order to get there, it was first necessary to convince the spoiled Israeli society that the Palestinians are not willing to live in peace and are threatening our mere existence. Sharon alone could not have possibly achieved that, but Barak did succeed, with his ‘generous offer’ fraud. After a year of horrible terror attacks, combined with massive propaganda and lies, Sharon and the army feel that nothing can stop them from turning to full execution. “In the thirty something years that he [Arafat] leads, he managed to reach real achievements in the political and international sphere… He got the Nobel peace prize, and in a single phone call, he can obtain a meeting with every leader in the world. There is nobody in the Palestinian gallery that can enter his shoes in this context of international status. If they [the Palestinians] will lose this gain, for us, this is a huge achievement. The Palestinian issue will get off the international agenda.” (interview in Yediot’s Weekend Supplement, December 7, 2001). “It is time for the Western public opinion to take over and to compel the governments to take a moral and political stand facing the foreseen disaster, namely a situation of permanent war against the Arab and Muslim people and states – the realization of the double phantasy of Bin Laden and Sharon.” (December 17, 2001). (1) For the details of this operative plan, see Anthony Cordesman, “Peace and War: Israel versus the Palestinians A second Intifada?” Center for Strategic and International Studies (CSIS) December 2000, and it summary in Shraga Eilam, “Peace With Violence or Transfer”, ‘Between The Lines’, December 2000.